Yes. I have taken a photo from the archives… well, it was not taken that long ago… last month. I’ve been meaning to blog all week and waited for my moment of inspiration. I almost blogged about bumping in to THREE Sechelt folks in Prince George. That was very exciting, but that was only tweet and Facebook post worthy. LOL. I also thought about blogging about all of the people I know in Prince George, whether it be a former student, trustee colleague, or someone from my PLN. It’s really amazing and I’m enjoying my time trying to connect with these people face-to-face. It’s super fun. My moment of inspiration has come from thinking about the details of my syllabi for courses I’m teaching at UNBC, my associations outside of my employment, and rebranding my website and company. THINKING FORMATIVE. That’s why I love this photo above from my EDUC454E100 class. It was a photo taken from our last class together as they partake in a learning activity that required a full-exercise of the core competencies of thinking, communicating, and personal/social. To succeed in this activity, everyone had to be operating in the formative. What do I mean by that? Everyone is sharing their two-cents on what they thought the image would look like. 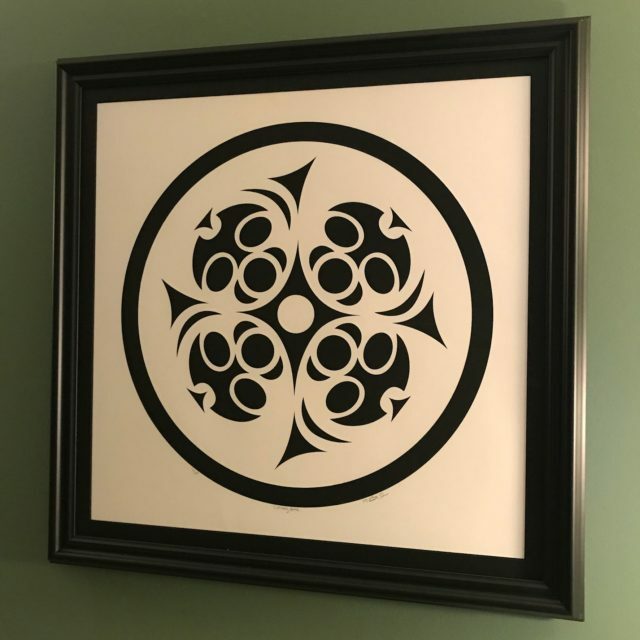 Every student contributed to the creation and formation of this beautiful image, “Coming Home” by Coast Salish artist Margaret Briere. Some information shared had value. Some input was taken, while others were not… and that was OK. I remember the kind of work it took on my part to make this class fun, engaging, and meaningful for those who wanted to participate. One of the most overwhelming comments that came from my students informally was that they were so surprised of the LEARNING COMMUNITY we’ve created. Some said that they knew maybe one or two people in the class prior to the course starting and now walked away with many close friends and colleagues to connect and collaborate with. This warms my heart, but why did this happen? We were THINKING IN THE FORMATIVE as a learning community. Ongoing formative assessment from my part, class discussions, and an open-door policy were critical. Students were encouraged to ask any questions, seek clarification, or get formative feedback on anything prior to demonstration of learning. This was a BIG IDEA. Some of my students asked for feedback after they performed but what is there to say unless they were going to do that exact same learning activity again. I could give feedback if they planned to do that learning activity in their classes as a future teacher or teacher candidate, but there was no moment when I wanted to give formative feedback after they had been evaluated. Why? What’s the point? This took much explanation for my students to understand the difference between summative and formative assessment. One of the downfalls of THINKING FORMATIVE is thinking summative. There is no judgement. It’s not personal. The job of the learner or receiver is to take what is being offered wholeheartedly and do something about it… or not. Sometimes the formative feedback can’t be received or heard because we think or believe that we are being judged or evaluated. This is the EGO talking… wanting to protect self from what is happening and what they can do about it, if they want to. This was a HUGE idea for my students to understand. I offered, many times, that they could have handed in their DRAFT final project to me as many times they wanted formative feedback on their work before they handed it in to be evaluated. Very few took me up on that opportunity and as a result, some received grades that was less than “meeting expectations” (aka. an “A”). This HIGH STAKES culture needs to shift… and this will take time and practice. It also takes wholeheartedness and vulnerability. Moreover, it will take an open mind, trust, respect, and kindness. It’s complicated. I cannot tell you how many times I had to park my ego as the instructor to make this happen. EGO BUSTING is two-way. Thinking formative is a two-way conversation. My job is to help and support the learner. The learner’s job is to receive feedback and do something about it. This is also reciprocated. Lots of ego parking is needed to forward together and succeed. Do I believe that everyone can get an “A”… the answer is YES. We just have to find a way to get there.